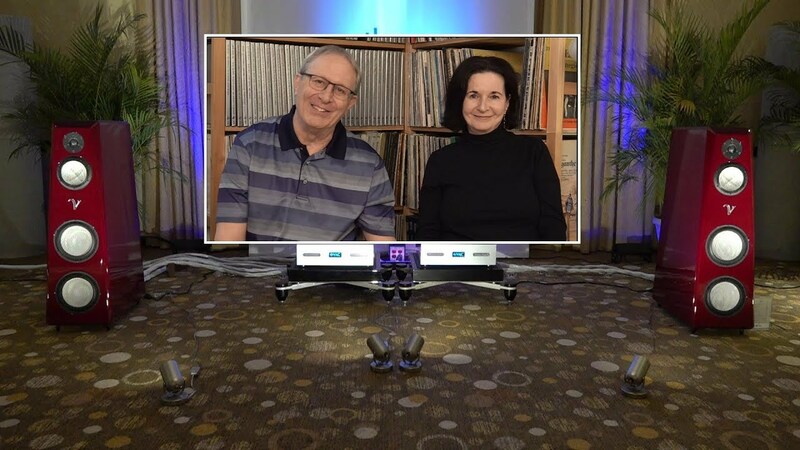 Show organizer, Marine Presson, along with the fine people of the LA&OC Audio Society, put together a show that included cars, cigars, live entertainment, an awards dinner, raffle, and, of course, lots of exhibit rooms. A self-contained event, there was audio and much more resulting in a three day party for show-goers. 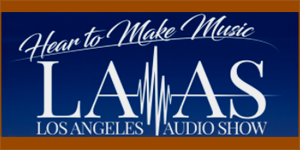 Proprietor, Gary Katayama delivered one of the best sounds at the Los Angeles Audio Show. We listened to Vanessa Fernandez’ rendition of “Trampled under Foot” and the sound was multi-dimensional with a huge soundstage. More often than not, when Vanessa hits the highs on this recording, things can get pretty scratchy and filmy sounding but there was none of that in this room. What I heard was a perfectly integrated sound with so much emotional involvement and detail balanced with the right amount of warmth. 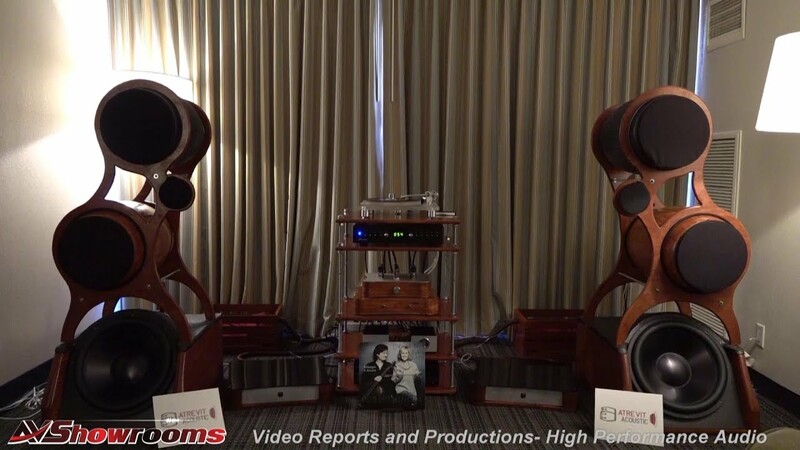 The system was assembled using Spendor D9 loudspeakers, Jadis 150 integrated amp, Jadis phono stage, Transrotor turntable and an interesting cartridge surprise by Shelter with step up, all wired up with WyWires Diamond Series. Really, the sound of this system without prices in the stratosphere is something I will talk about for a long time. 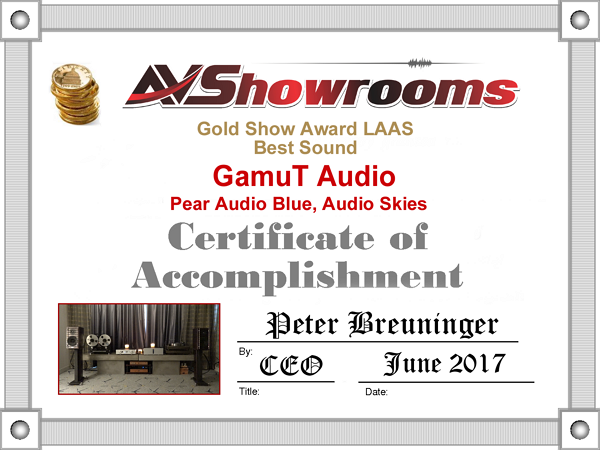 I would challenge anyone to come up with a better two-way standmount loudspeaker than the GamuT RS3i. The sound of the cello track we played from the Audio Note Music album “Pure Cello” was huge. The recording delivered every element of emotion the artist sought to convey and the attendants’ enthusiasm was at a celebratory high. I heard someone say it was the best sound they heard at the show. The system was fast, the bass tight and the music uncompromised. 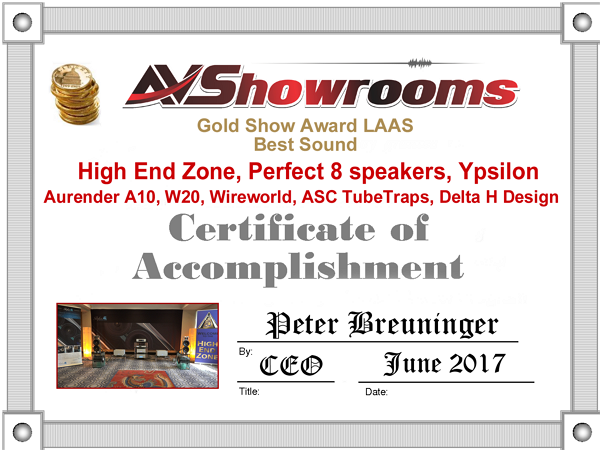 Stefan Fuegi, CEO of High End Zone, based in Gila, New Mexico is a talented portfolio manager of high-performance audio equipment. 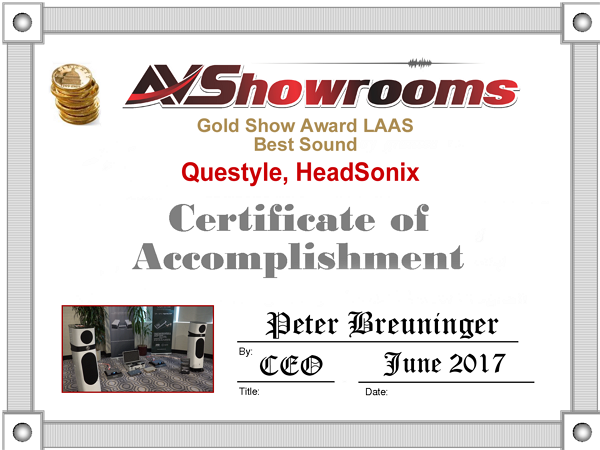 At LAAS, 2017, Stef introduced the Perfect 8 “Point Mk 3” loudspeakers with Ypsilon electronics and Aurender DAC. 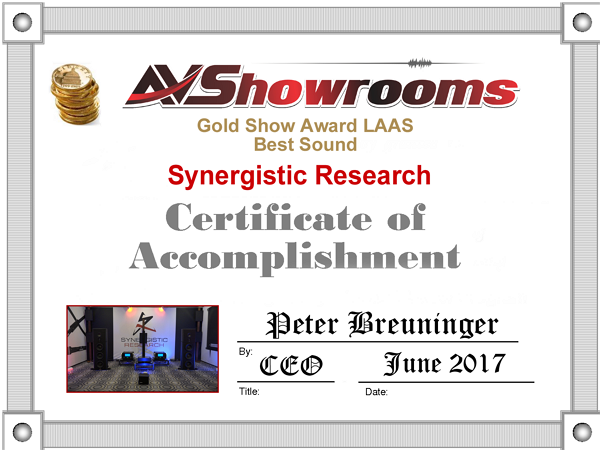 Rack and amp stands were designed by Perfect 8’s Jonas Räntilä using the same technology used in the Perfect 8 loudspeakers. From the album, Conversations, with Vincent Belanger and Anne Bisson we played “Comme un Tango”. As Peter says in the video, there was information he heard in this track that he had not heard before, especially Anne’s piano run that comes in at the end – “…done with such finesse and beauty”. Watch the video, listen for yourself. 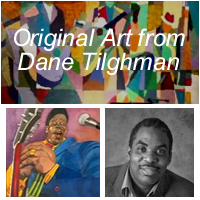 The music filled the room with delicacy and detail without compromising musicality. The tango track was delivered with a fast and tense presentation that put this listener inside the music with the players. Bravo! Peter was solo covering this room, but from his comments later on and even what I am hearing from the video on my computer speakers this was an astoundingly good sounding room. Those little wireless, Class D amps at 200 watts per channel with the Focal loudspeakers were a revelation. 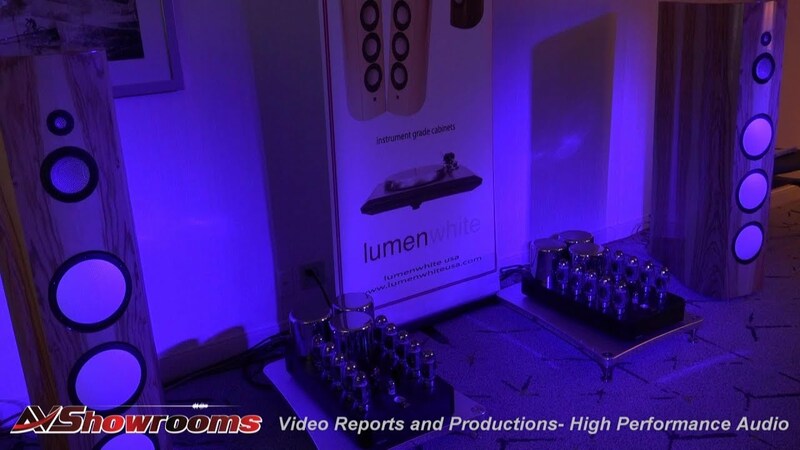 Peter enthusiastically declared that the “switching” amps could have competed with any of the much higher priced electronics from other highly revered manufacturers. Watch the video, Bruce Ball will tell you everything about them. Peter rightfully declares that 2017 is the year for Class D! 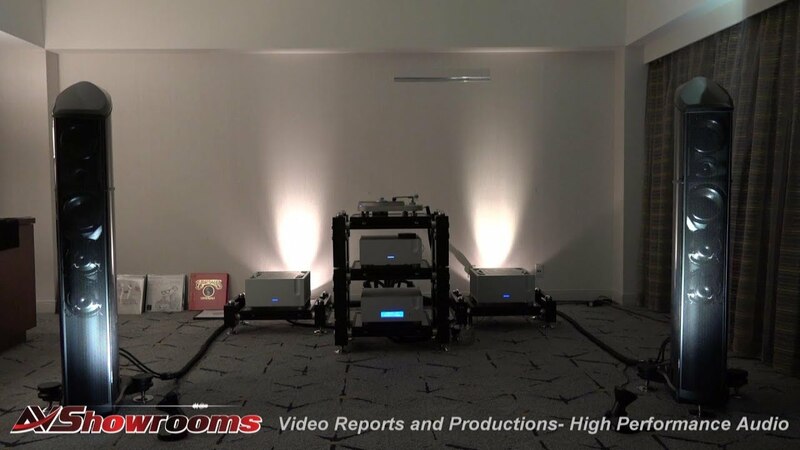 Holger Stein, of Stein Music was exhibiting with his HighLine S loudspeaker, electronics and accessories including the new and already the very popular “The Perfect Interface” Carbon Signature Resonance Control mat. Playing Vanessa Fernandez’s version of “Trampled Under Foot” it was immediately apparent that Holger dialed in all of his excellent audio equipment resulting in a large, warm and involving sound. Stein Music’s exhibit gave us all that is great about horn loudspeakers; midrange magic and musicality for optimal near-field listening without any “honk”. 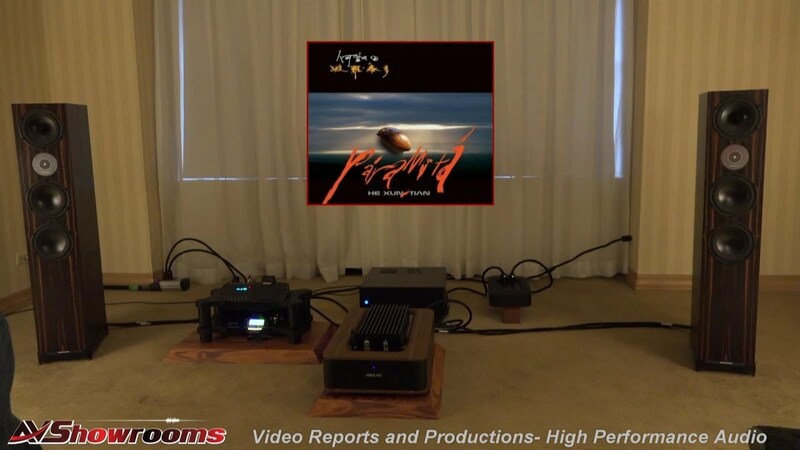 Ted Denney, the chief designer for SR introduced his new active ground block and the new Synergistic Research Atmosphere XL4, SR’s most powerful Atmosphere to date. Ted always does very effective demo’s at the shows and his products are top shelf. At LAAS 2017, Ted played for us a “Dead can Dance” track “The Gathering of Flowers”. The Atmosphere XL4 was set to “Ethereal” with advanced settings to “Stratosphere” and “Air”, the most dramatic of the settings in terms of scale. We started the demo with the Atmosphere on. When turned off we heard an “image collapse”; a more two-dimensional sound. Turned back on, the sound and imaging opened up in the room like a fast-forward rose in bloom. Lisa Gerrard’s voice was more realistic and clear. Bravo, Ted and team! These guys make sound improvement seem effortless. This was the exhibit room that was capable of making me forget I was at an audio show in Los Angeles with countless numbers of distractions interrupting the flow of the music and enjoyment of listening. Jason Lord, co-owner of The Source A/V Design Group managed to create an involving, palpable sound in a hinky hotel room. Every instrument was in its proper place and the beautiful track “Walking on the Moon” from the CD “Frederic Alarie Trio Live A Vienne” recorded by Rene LaFlamme of Fidelio Recording came alive and the performance became “one” with the room. D’Agostino’s, Bill McKiegan, talked to us about what’s new at D’Agostino including the drop-dead gorgeous Progression stereo amp and linestage. It’s all in the video. 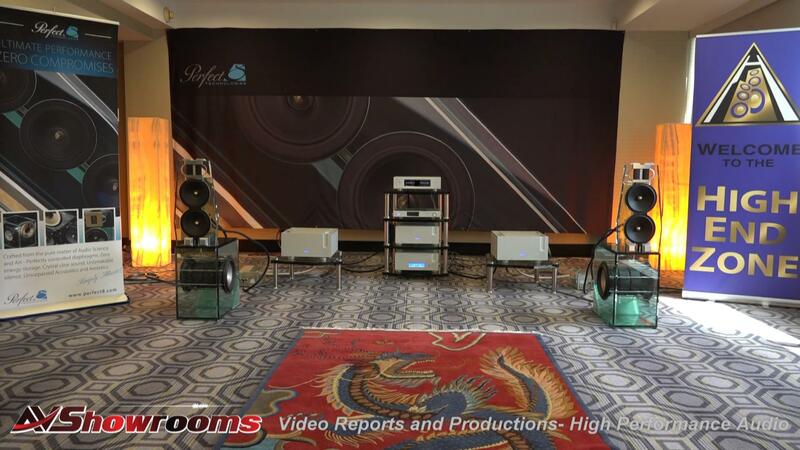 Loudspeakers were the Focal Maestro Utopia and the cables were Nordost. Outstanding sound! This collaboration has become a star at the 2017 audio shows. Kevin Hayes of VAC (Valve Amplification Company) exhibited the Statement 450 iQ. 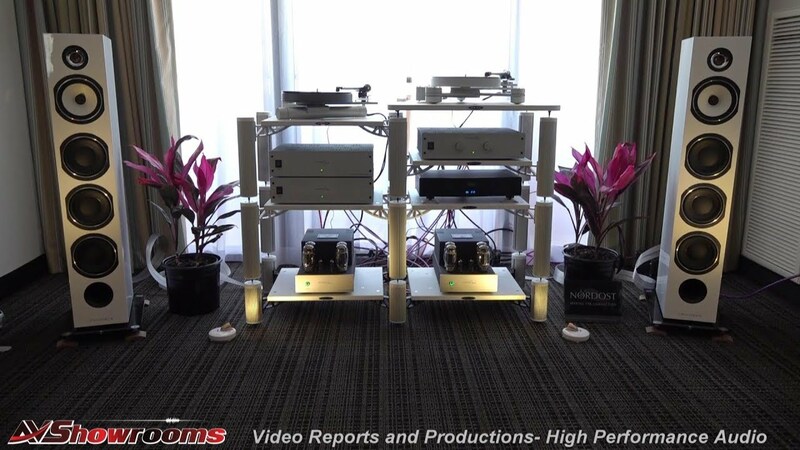 Monoblock Power Amplifiers with the Statement Line Stage and Statement Phono Preamp. 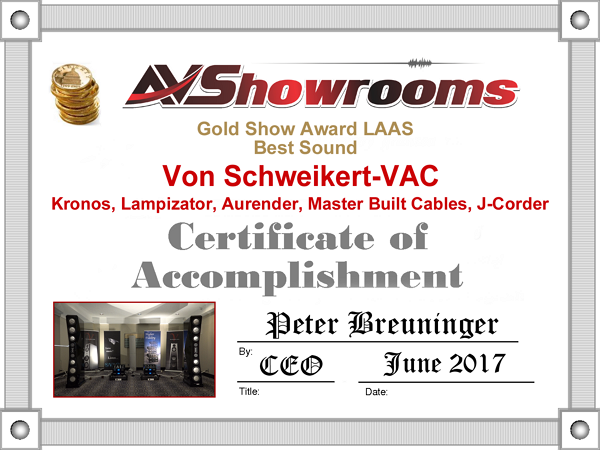 The loudspeakers were the Von Schweikert Ultra 11’s and the cables, MasterBuilt Ultra cables. The bass was extraordinary. Tight and explosive. 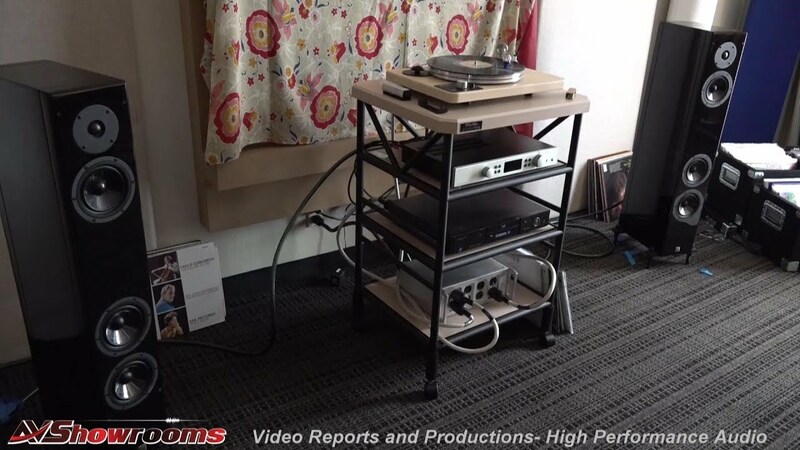 Roger Waters’ “Amused to Death” spinning on the Kronos Pro with SCPS-1 was profound in its delivery. A big, enveloping and sophisticated sound. Truly, state of the art equipment. So much bass coming from the Voxativ Zeth Loudspeakers with the Zeth bass unit. It’s hard to believe such dynamic sound and holographic layering was being delivered from these small single driver speakers, but such is the signature and the success of Voxativ. Holger Adler played us an avant-garde drum track that filled the room with a fast, punchy sound. Electronics are by Lyric, a company new to North America and so worth checking out. We will see you at the next show!